Looking for affordable window tinting? We specialise in automotive, marine, domestic and commercial window films for both vehicles and property. Operating across the South West of England, we have window tinters located across Cornwall, Devon, Somerset, Bristol, Hampshire, Wiltshire, Surrey and West Sussex that can come to you. Our window films are competitively priced and can be applied to almost all types of glass. So, if you are looking for a professional window tinting company give us a call! Car window tinting not only adds style but also keeps the sun out, reduces glare and harmful rays and also increases privacy. Our car window film is approved by 90% of automotive manufacturers. We use the best car window film and as a result, it doesn’t suffer from fading, bubbling, cracking or delaminating for over 12 years. In addition, our car tinting products are covered by manufacturers lifetime warranty, providing you with greater peace of mind. Car tinting is available for both private and commercial customers. We can tint just one car or a whole fleet. Call us for more information and a free quote. Window film for property means you can enjoy all the benefits of window film in your home, office or commercial property. Is your conservatory too hot, do you require more privacy? If so window film application could be your solution! Residential window film can make your home more comfortable and safe. Are you looking for solar film for conservatory living to control heat penetration and maintain a more comfortable ambient temperature? Perhaps you need window privacy film to make your home more private? If so, we offer the perfect solution. Our window film applications are suitable for almost all types of glass and can be fitted into your home at competitive prices. Commercial film installation services at competitive prices. Window tinting for your business or office makes your working environment more comfortable and private. Our commercial window tint services are available to all business customers. Whether you have a small office, large industrial unit, retail unit or commercial office block we can help. Why not give us a call for a free quote? Solar window film is available in a range of reflective options and colours include both silver and gold film. For maximum solar energy reflection, we offer a high reflective solar film that also offers maximum privacy. Other options include both medium and light reflective films for windows. As well as blocking out the suns heat it also blocks out harmful rays and will protect your furniture from sun damage. We use the best window tinting films and our window film tinting services are available at competitive prices. 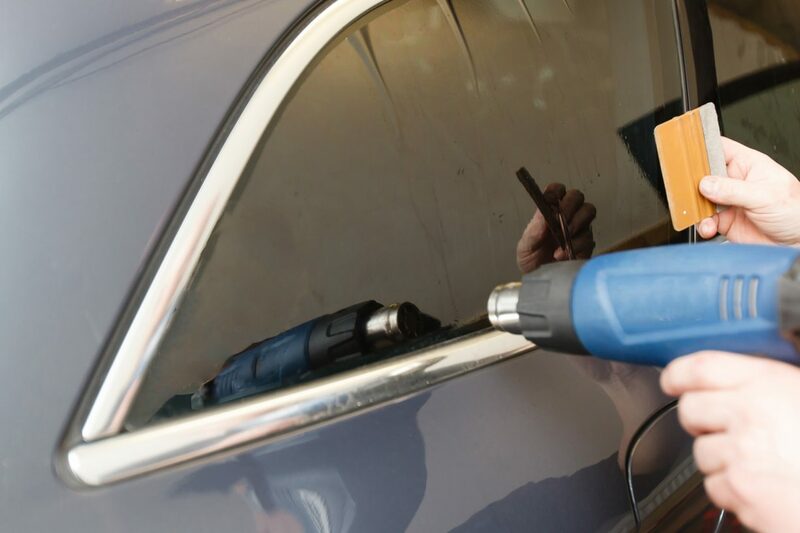 With experienced and fully trained tinters located across Exeter, Bath, Bristol, Bournemouth, Southampton, Portsmouth, Brighton and the rest of the South and South West of England, we can come to you at a time to suit your availability. We offer sound advice and also issue a lifetime warranty across all our window film products.